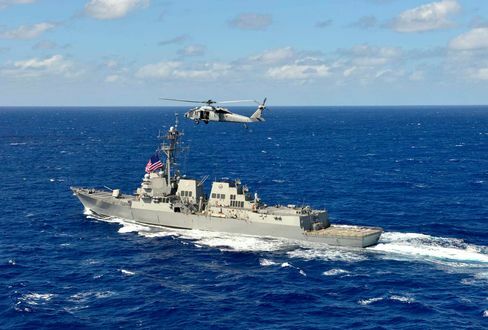 U.S. Warship Challenges China’s Claims in South China Sea – China scrambles fighters – Coercion Code – "Dark Times are upon us"
The USS William P. Lawrence. The U.S. Navy sent its third warship in less than seven months into waters of the South China Sea claimed by China as tensions rise ahead of an international court’s ruling on the territorial dispute. The USS William P. Lawrence, a guided-missile destroyer, on Tuesday sailed within the 12-nautical-mile territorial zone around Fiery Cross Reef, a feature in the Spratly Islands where China has dumped hundreds of thousands of tons of sand and coral to create an island on which it has built an airstrip. The transit was a “freedom-of-navigation” operation by the U.S. military to demonstrate the right to fly and sail through what it considers international waters and airspace. 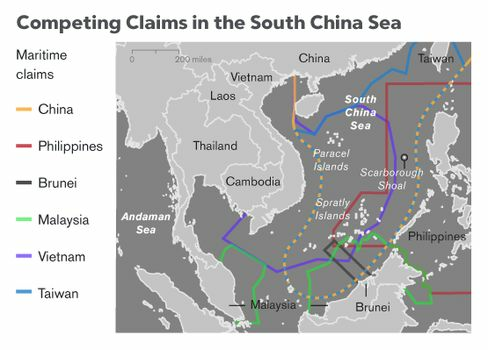 The reef is also claimed by the Philippines, which is contesting China’s claim to more than 80 percent of the South China Sea based on a 1947 Chinese map known as the nine-dash line, along with reefs and atolls in the waters. An arbitration tribunal hearing the case under the United Nations Convention on the Law of the Sea is expected to make a ruling by mid-2016. 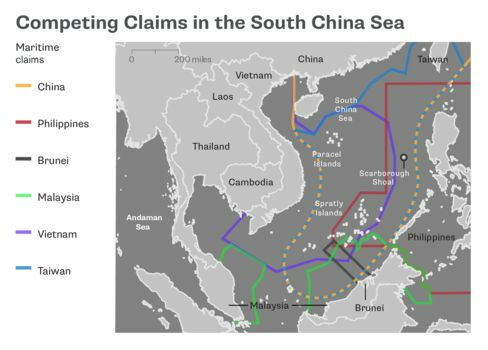 China has refused to participate in the arbitration, arguing that the tribunal lacks jurisdiction and that such disputes should be settled bilaterally. The U.S. operation was reported earlier by the Wall Street Journal and then confirmed by the Pentagon. The warship “threatened” China’s sovereignty and put staff and facilities on the island at risk, Foreign Ministry spokesman Lu Kang said at a briefing in Beijing Tuesday. The U.S.’s regular freedom-of-navigation operations since 1979 were “a naked challenge” to the maritime order, he said. BEIJING/HONG KONG (Reuters) – China scrambled fighter jets on Tuesday as a U.S. navy ship sailed close to a disputed reef in the South China Sea, a patrol China denounced as an illegal threat to peace which only went to show its defense installations in the area were necessary. China has allegedly tested a weapon of mass destruction capable of hitting London and other major European or American cities in just 30 minutes. The People’s Republic reportedly fired a nuke called the Dongfeng-41, which has the longest range of any missile in the world. It can carry up to 10 warheads over a distance of roughly 7,450 miles in just half an hour before hitting several targets at once. This would mean Beijing could destroy the whole of London – which is slightly more than 5,000 miles from the Chinese capital – or wipe out any city in the West. Pentagon sources told the Washington Beacon that the nuke had been detected by American satellites. The development is likely to make American military chiefs extremely nervous.